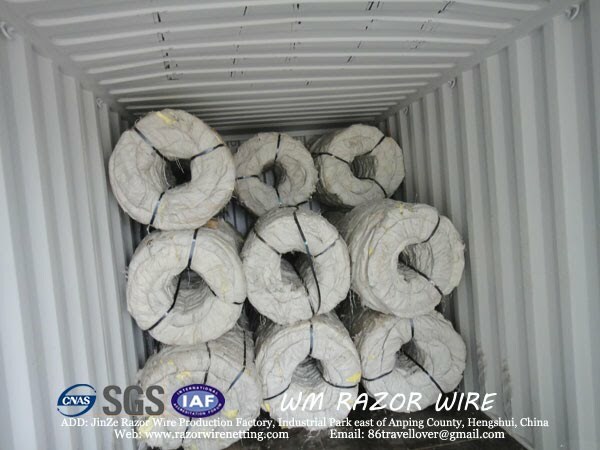 WM WIRE INDUSTRIAL mainly produces razor wire (razor barbed wire). Our address is WM WIRE INDUSTRIAL Production Factory, Industrial Park east of Anping County, Hengshui, China.A wholly owned CHINA company, WM WIRE INDUSTRIAL specializes in high security fencing solutions and is committed to providing quality service and installation to our customers. Our specialty is in the Design and Construction of security fencing,along with razor barbed wire fencing. Major products are Concertina Razor Wire, Concertina Single Razor Wire, Straight Line Razor Wire, PVC Coated Razor Wire, Flat Wrap Razor Wire, Welded Razor Mesh, Stainless Steel Razor Wire, Wall Spike, Barbed Wire. Mobile Security Barrier, etc. WM WIRE INDUSTRIAL has adopted the first class razor wire production equipment and self-improving, professional grinding tools. It is essential for our brand-making “high standards, high quality, high efficiency and sophisticated technology”. We constantly use the first class raw materials, which is necessary for us to strongly enhance the “quality first, more endurable” brand. We are constantly working hard on production standards, technique research, design …, thus reaching a new standard and the top point in quality, outlook, craftwork and practicality. With years of hard work, we rank constantly the first in quality, service, technique and equipment. A new brand “WM WIRE INDUSTRIAL ” has come into being with our painstaking efforts and 10 years’ innovation. Sincerity and Belief are our basic principle, which are also the foundation of making friends, developing enterprises and the central sprit of doing business. Nowadays we may not be the biggest enterprise in razor wire industrial of China, but we are sure to be the most professional. Working on razor wire attentively, the very thing we do constantly. Quality is priority to benefit.